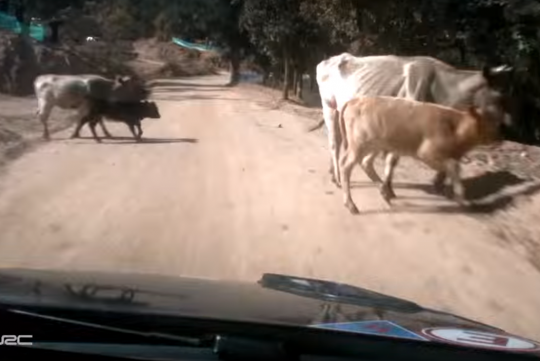 As rally racing is mainly held on open routes that allows many different scenarios to take place, things like cattles crossing the road could well be a very possible incident waiting to happen. Unluckily for French racing driver, Sébastien Ogier, such a scenario had to happen to him at the WRC Guanajuato México 2016 Rally. Fortunately for him, he managed to dodge the cows without hurting him nor his Volkwagen Polo rally car. Watch the video and figure whether you can react as fast as him or not. We are sure we can't match his nerves of steel nor his skills in avoid the accident! If he'd not been such a great driver, Holey cow!